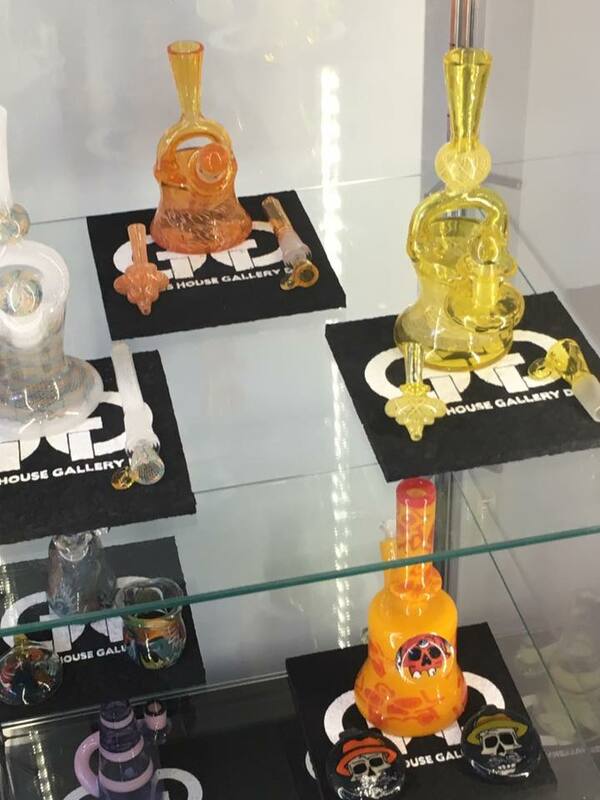 Glass House Gallery DC is the spot for the discerning head that desires to partake from only the finest paraphernalia. 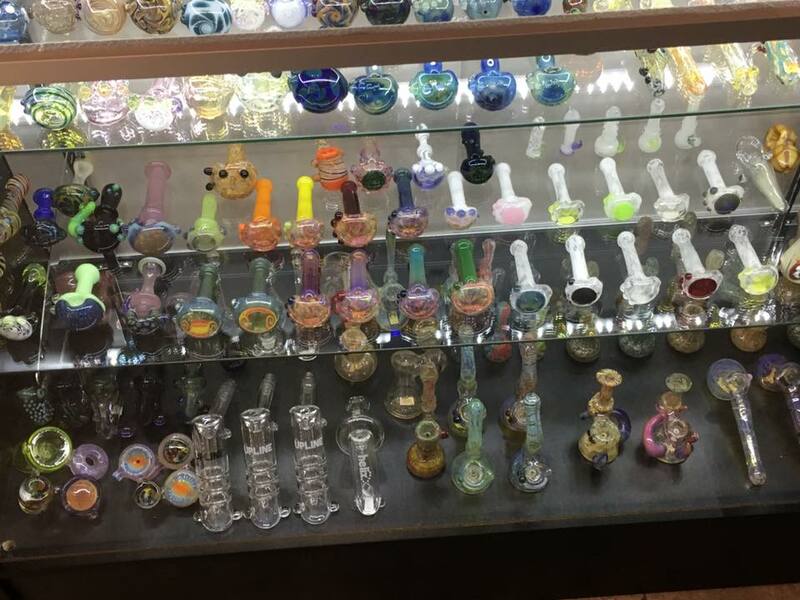 Every time I step in the door of their shop, conveniently located in the Shaw neighborhood at 1527 9th St NW, their beautiful catalogue of American-made rigs, bongs, and pipes of all sizes and shapes astounds. 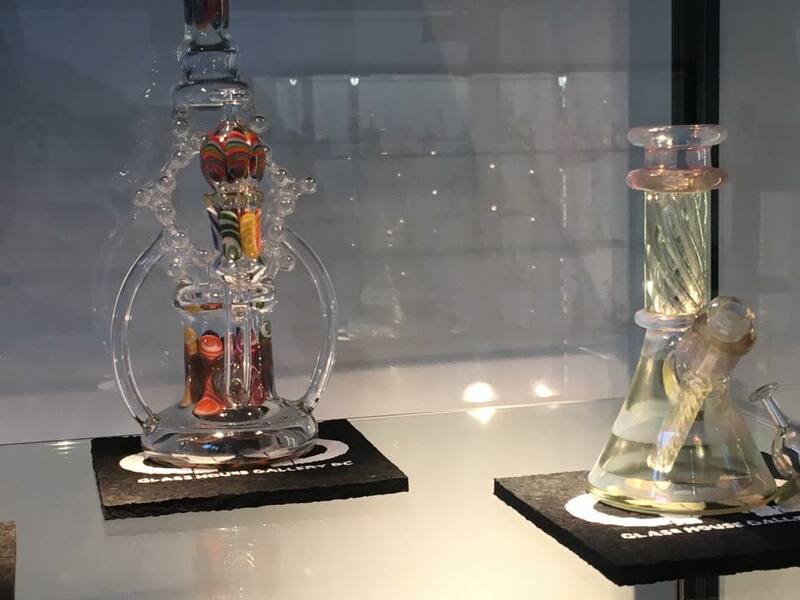 I could easily spend an hour quietly marveling at the detail of each piece in the store (or their Instagram page), many of which hail from East Coast artisans like New Jersey-based Cello Glass, but I decided to chat with one of the owners, which seemed a more productive use of a Gentleman’s time, and took some pictures instead. Here, looksies! I forgot to get a pic of the dab swords. My bad, those are super cool and you should get one. Ok ok now look at what I got! 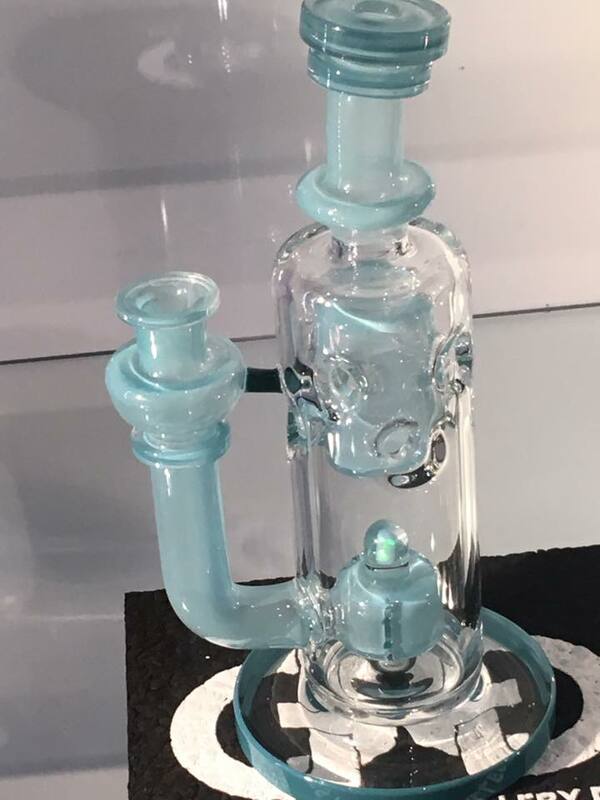 The rig is from Cello Glass. 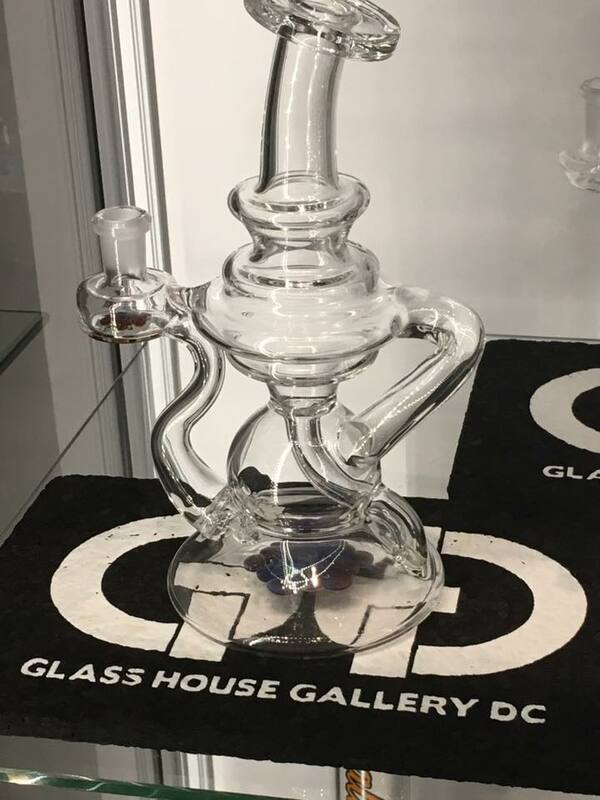 The banger isn’t high end- though Glass House Gallery DC has plenty of high-end bangers to choose from, the Gentleman doesn’t like to clean, so I go cheap, Q-Tip it after every dab, and replace them often. 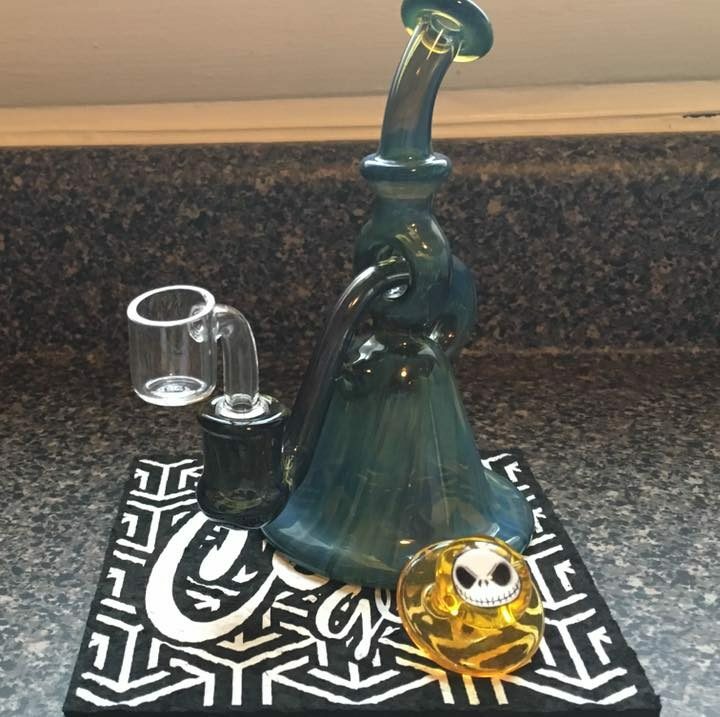 I couldn’t help but claim the Jack Skellington carb cap for my very own! Oh, squee! I get a ridiculous amount of joy out of this little doodad. 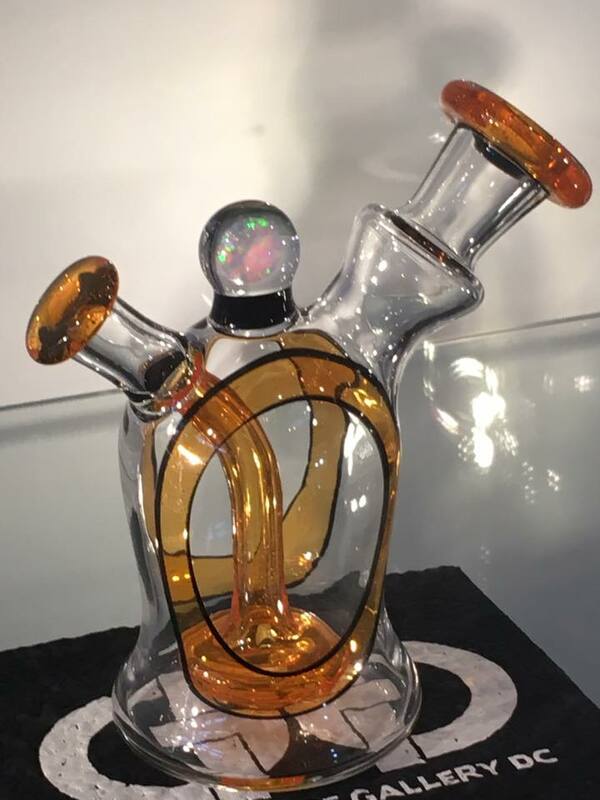 If you don’t dab, a carb cap is used to maximize the amount of vapor produced by your oil. It is a critical piece of gear, so don’t worry, I left you the Homer Simpson one. Oh, do they have Hello Kitty? I’ll ask for me you. You. But back to the rig! 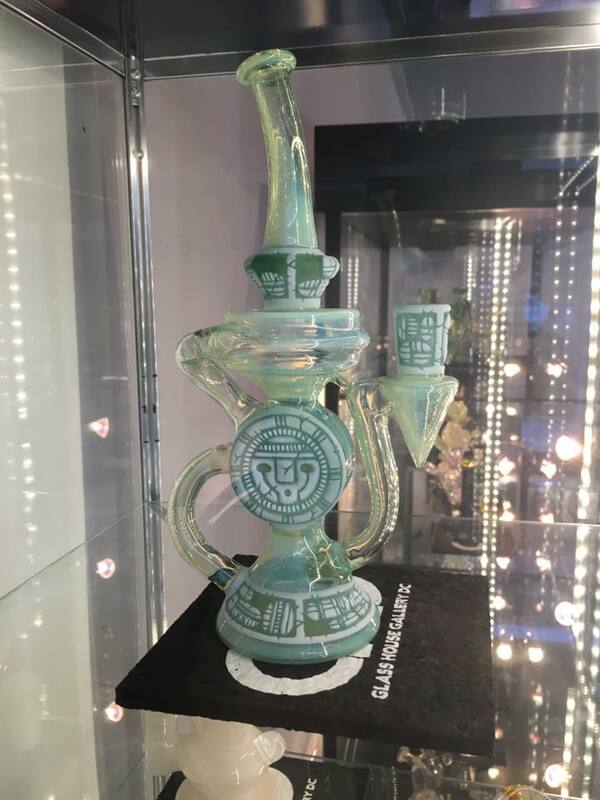 Cello Glass is best known for wormhole rigs, as stated in this High Times article, so that’s what your Gentleman got. 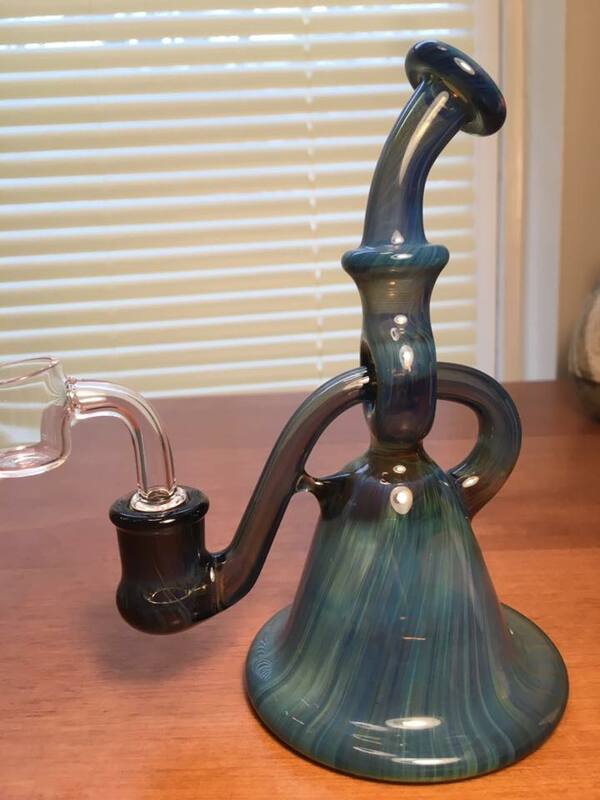 A rig is a bong but for concentrates, and wormhole refers to the glass tube that connects the base of the rig, where the water sits, to the bowl piece, which in this case, goes through the bong itself, as you can see for yourself. The color is Electric Blue- you can see it sort of shifts between blue and green. The glass is lightweight but solid and I have to confess, it is a pleasure to smoke out of such fine china. It took a little experimenting to get the water level right, but I’ve got it rockin’ now so all I inhale is supremely tasty oil. 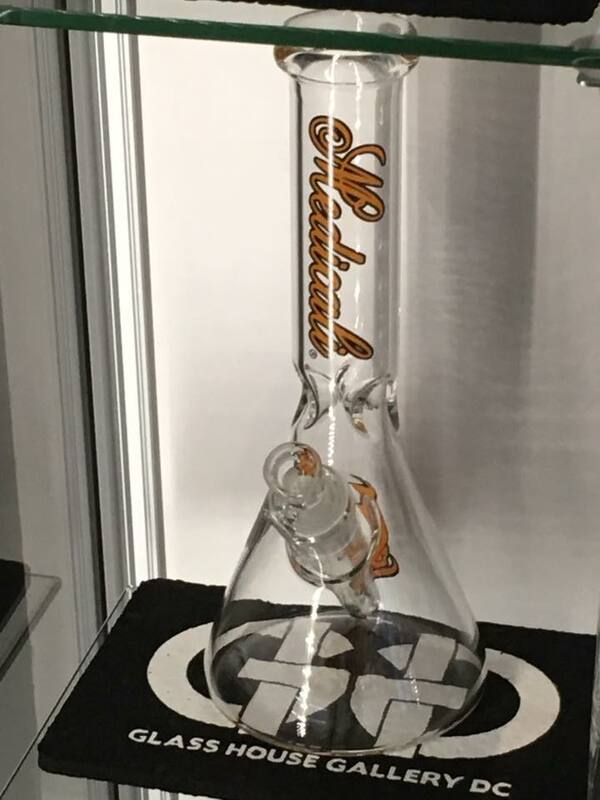 Is there anything so utterly refined as top-shelf hashish in a fresh new rig? 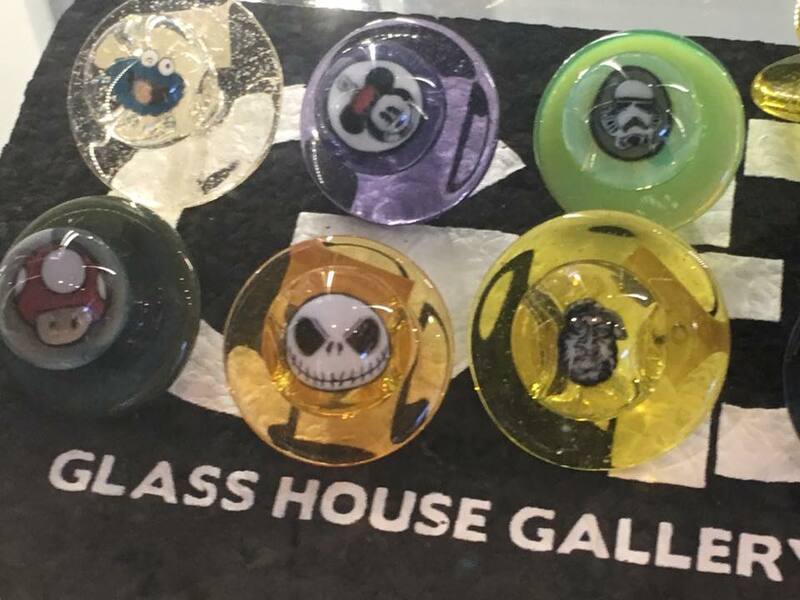 Of course, my friends- from a fresh new rig from Glass House Gallery DC, capped with a smiling Skellington! So go forth and support your Gentleman by buying drool-worthy American glassworks from a local business. The economy isn’t gonna fix itself, people. 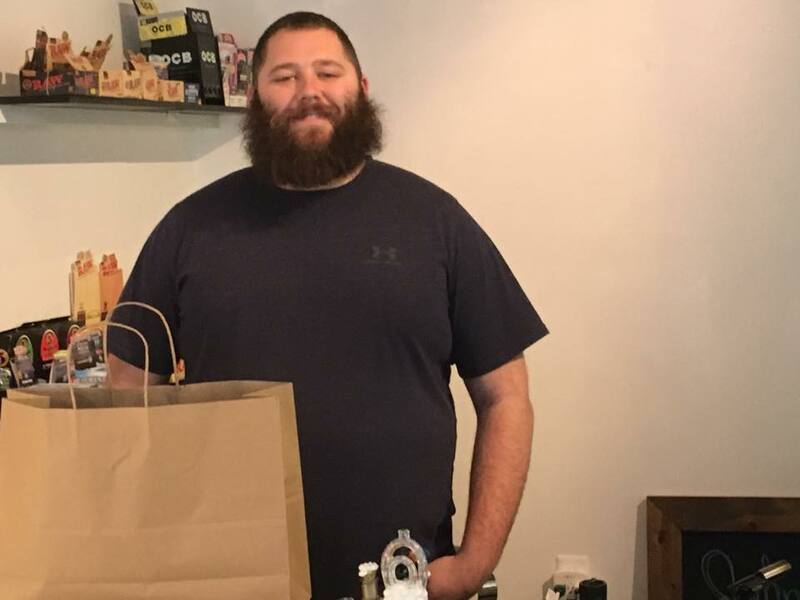 DC, Gear, Marijuana Business, Store. Bookmark.